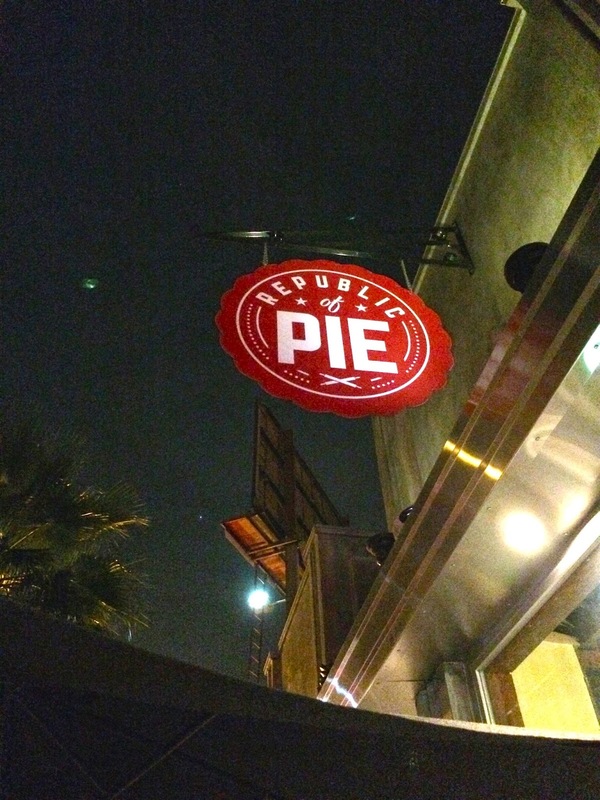 Edible Skinny was lucky to check out the Republic of Pie last night before heading over to Fanboy Comics release of the horror poetry compilation Fearworms! Inspired by European culinary excellence and the warm inviting appeal of reclaimed wood, metal and glass similar to a Northwest cafe, Republic of Pie + Coffee has found a home nestled in the heart of the NoHo Arts District. 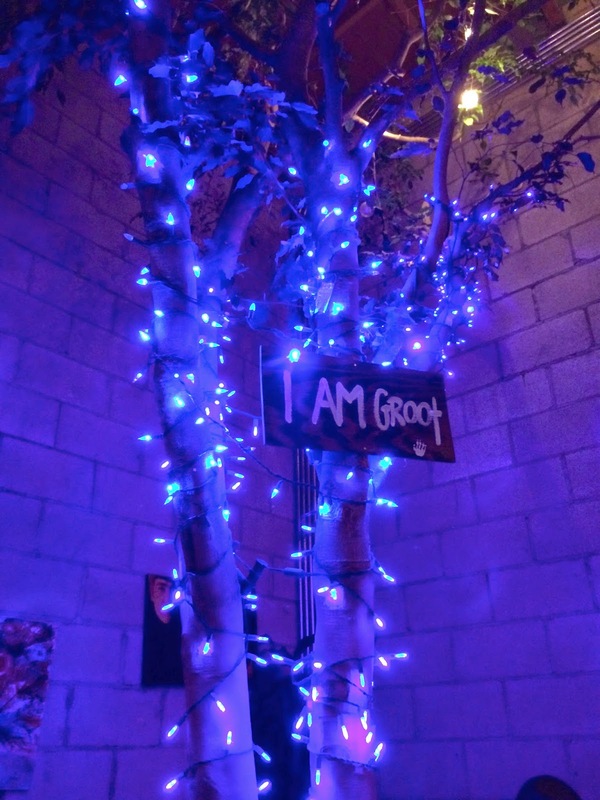 This place screams hipster in the most fun sense of the word (my favorite touch was the indoor tree with a sign entitled “I am Groot”). "TheRepublic" was intuitively born from a love of baking, a passion for coffee and a strong sense of community. 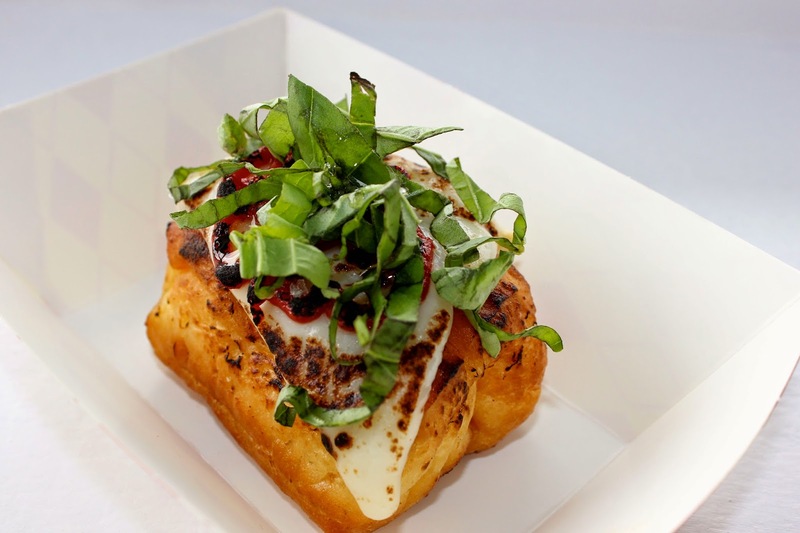 There are both sweet and savory (Yes, oh yes!) 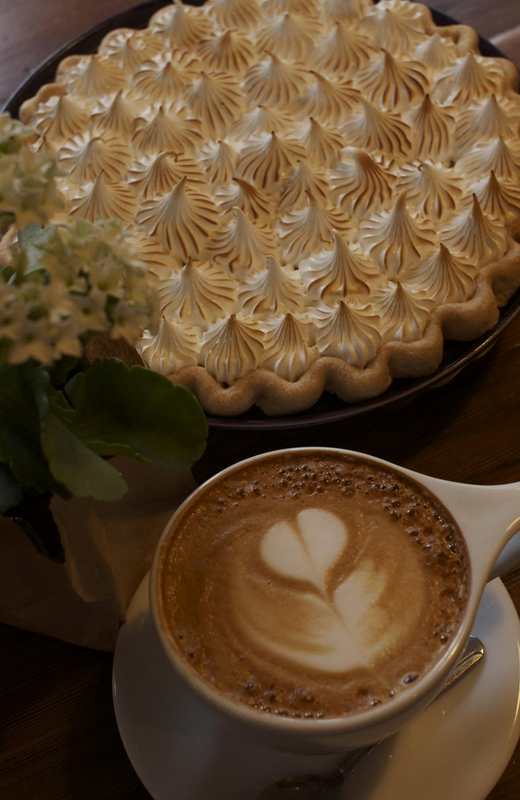 pies and some absolutely fabulous coffee! And along with the tasty food, Republic of Pie known for its fabulous musical lineup! It constantly hosts some of the area’s fastest-rising singers and songwriters every day of the week! The singer I saw last night was absolutely fabulous, Sidney Bowen, go grab soon to be released EP! 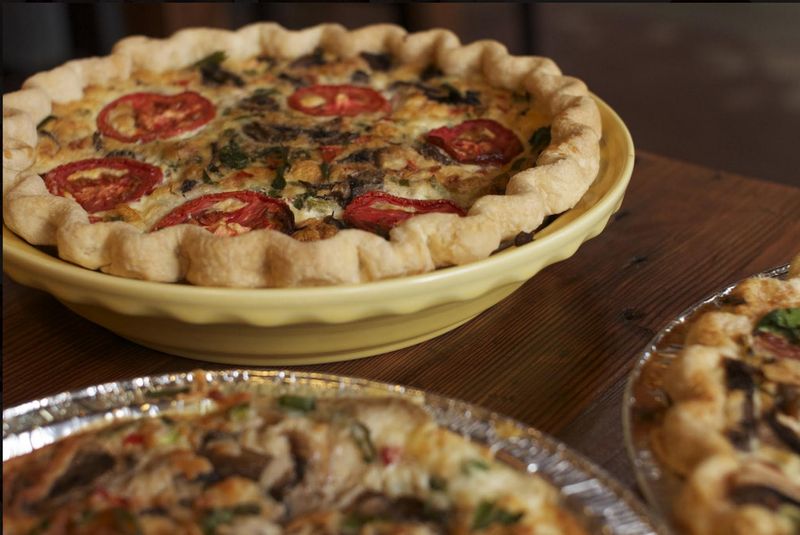 You should definitely drop in, grab a slice, and experience the best of what the NoHo arts district has to offer. 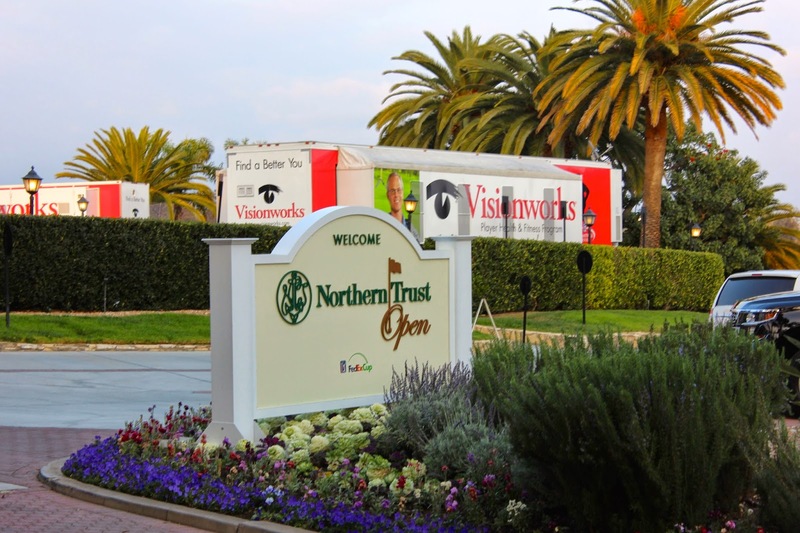 Although we’re horrible from knowing a Birdie from a Bogey, Edible Skinny is lucky enough to be checking out the Northern Trust Open this weekend at the historic Riviera Country Club! Yes, those getting those little white balls into the holes is cool and all, but we’ll be their for the food (and music)! 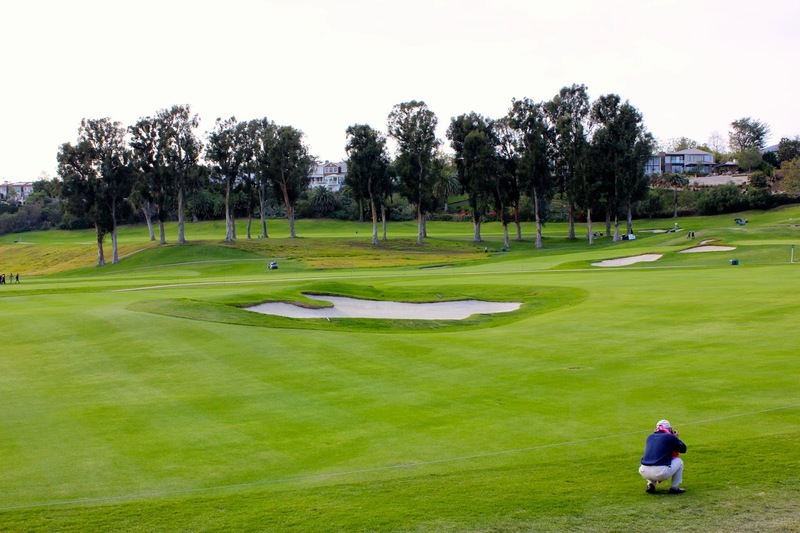 LA’s only PGA Tour tournament is stepping it up this year as it will feature several trendy Los Angeles restaurants catering the events inside The Green Room, a new, open-air, upscale lounge perched between the iconic 10th hole and the driving range which offers dramatic views of the Riveria surrounded by eucalyptus trees. 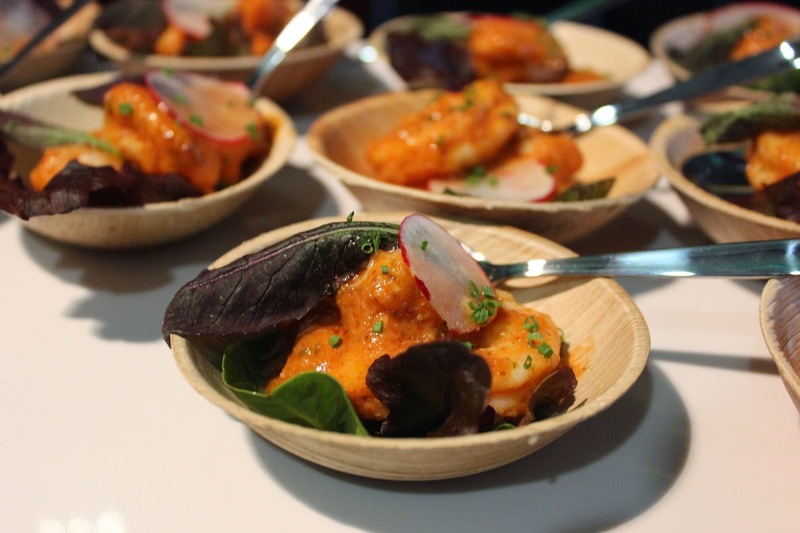 The Green Room is partnering with the food lovers at Tastemade to curate an exciting lineup of famed restaurant partners and chefs daily. 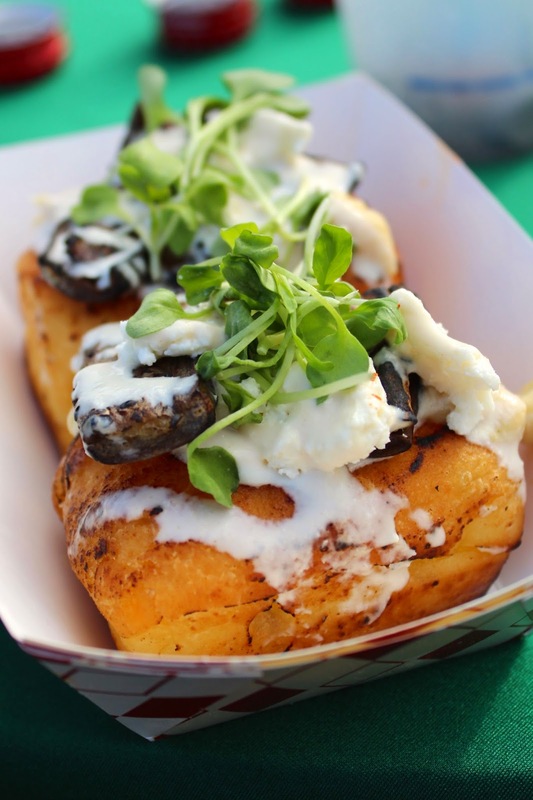 The Green Room ticket holders will experience #MoreThanGolf with exciting food offerings from Baby Blues BBQ, The Roost at LA Farm, Fill R Up Gastro Garage, and The Prince& Pantry. The Green Room will be sponsored each day by a notable LA-based lifestyle company, with luxury real estate broker The Agency featured on Friday, unique West Coast prep clothing company johnnie-O taking over on Saturday, and fashion company Haus of Grey on Sunday. 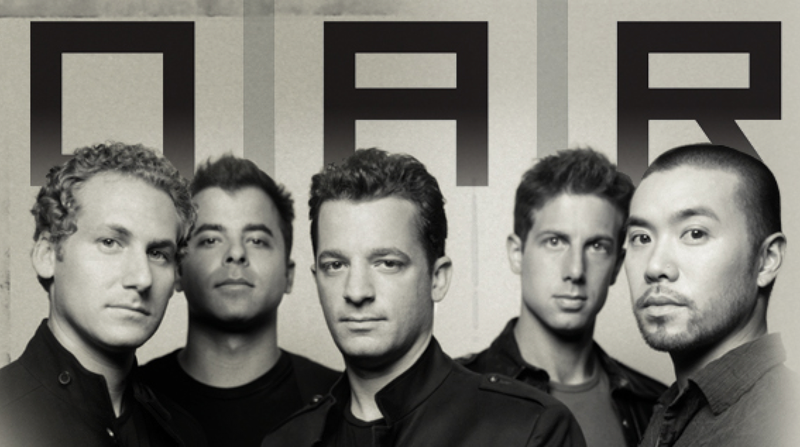 And the Green Room will also be the best seat in the house for the O.A.R. concert on Saturday afternoon, as the venue is transformed into a backstage setting. 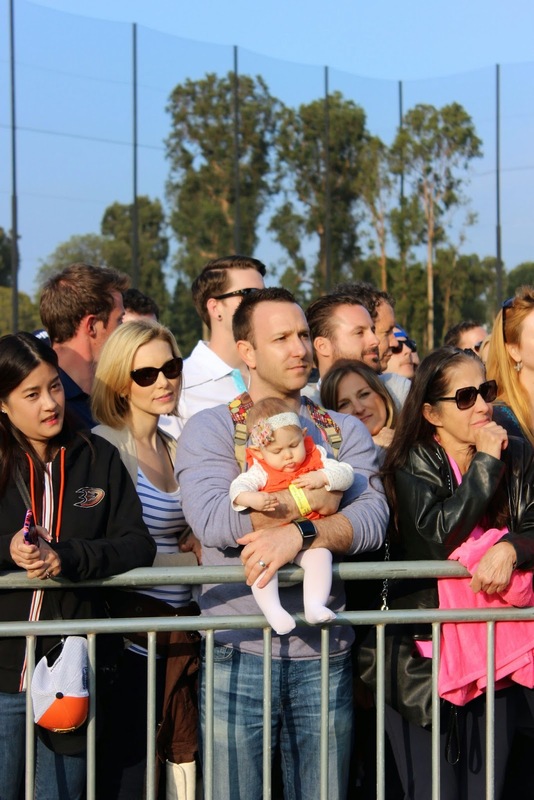 So Veni, Vidi, Golf (or more accurately all the fun things that a golfing event let’s us do)! Workin’ The Tease (the burlesque internet channel that is co-produced by Edible Skinny editor Kat Thomas) was lucky enough to partner with awesomely stylish vintage mixer brand, Powell & Mahoney, last weekend on the Roaring 20s burlesque fundraiser The Green Light District to raise funds for Veterans with the non-profit Pin-Ups for Vets. 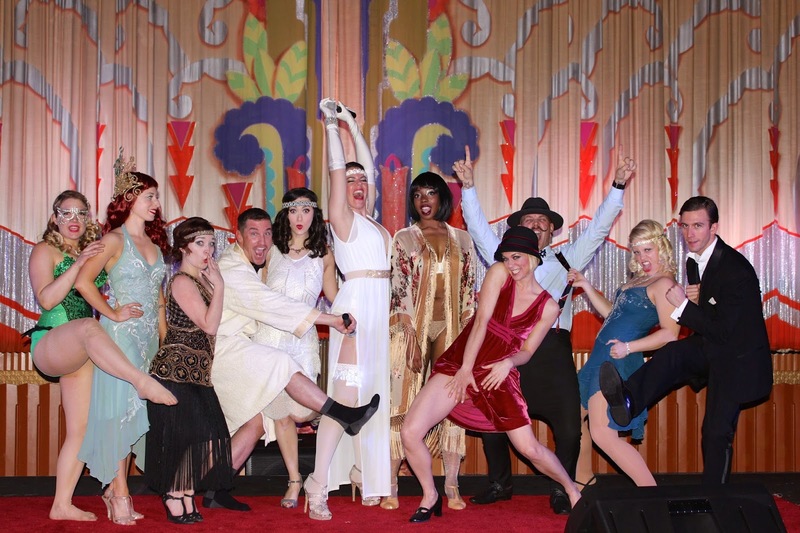 Held Saturday February 7th, 2015 at 7:00pm at the Crest Theater in Westwood, CA the Green Light District was a celebration of all things vintage glamour; an event that would have Daisy Buchanan green with envy! 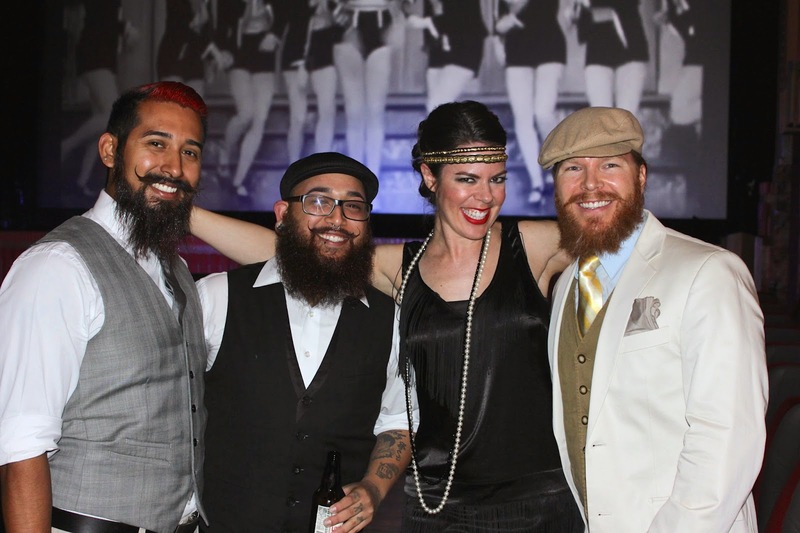 The night included Gatsby inspired burlesque numbers performed in front of classic silent films, circus acts, typewriting poets in the lobby, and larger than life glittery sparkly burlesque numbers! The glamorous lineup included the Most Dangerous Woman in Hollywood Tonya Kay, Seduction Queen Jessabelle Thunder, The Stunning Siren Noire, tap sensation Buddy Watson, and Workin' The Tease creators Kitty Kat DeMille and Mona Bella. All these numbers were tied together by Electro Swing maestro DJ Skyler, who earlier this year opened for Lady Gaga and Tony Bennett at the Cosmopolitan on New Year’s Eve. The Vermont based Powell & Mahoney, which produces handcrafted, all-natural cocktail mixers using only natural and organic ingredients, was the exclusive mixer sponsor at The Green Light District. 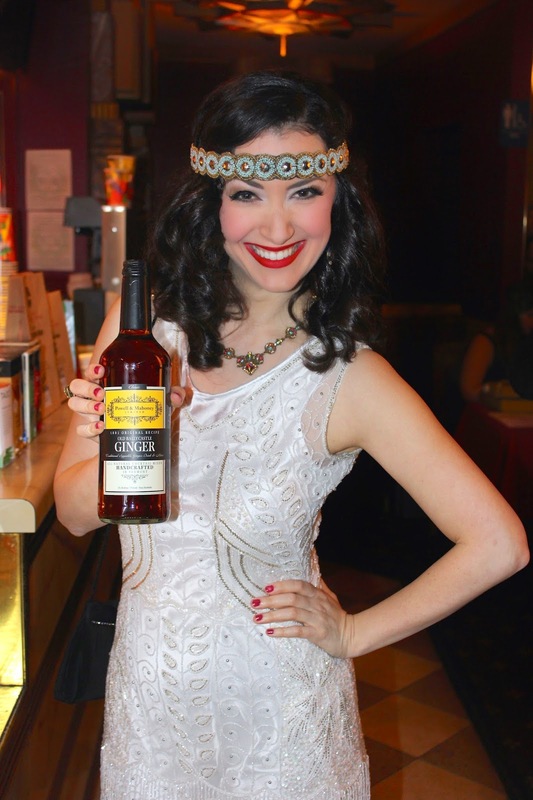 The tony night included tastings of their Old Ballycastle Ginger, Lemon Sour with Bitters, and Cosmopolitan all blended with the timeless spirit of vodka. The classic Cosmo mixer of cranberry, lime juice, and cane sugar edged towards the sweeter side while still maintaining the balance necessary for a great mixer. 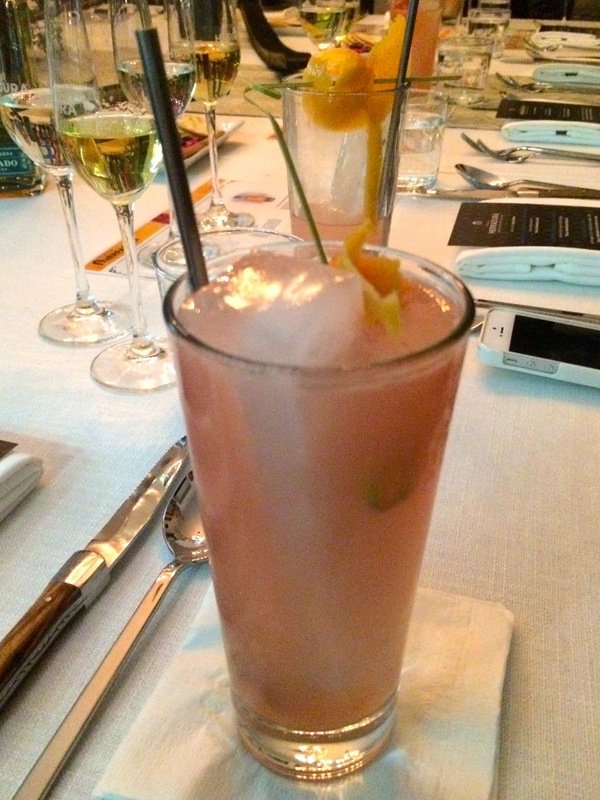 In contrast, the Lemon Sour with Bitters walked the perfect edge of sour and sweetness. But, the highlight of the night was the nuanced Old Ballycastle Ginger with flavor profiles that included spicy ginger, delicate elderflower, and a hint of sharp fennel. The finish was direct ginger with a spicy heat aftertaste. For over two decades, Brian Powell & Mark Mahoney have traveled the world, sampling the finest creations from the most talented and knowledgeable bartenders in the industry. Along the way, they’ve collected recipes, techniques and stories, which they have used to craft their line of Powell & Mahoney Vintage Original Cocktail Mixers. “Thank you so much to Powell & Mahoney for helping us to help our Nation’s Heroes with this donation,” noted Gina Elise vintage influencer and founder of Pin-Ups for Vets. Since 2006 Pin-Ups for Vets has raised money for under-funded hospital programs that support America’s Veterans and recovering military service members. Pin-Ups For Vets raises funds to improve Veterans' healthcare, donates funds to VA hospitals for medical equipment and program expansion, improves quality of life for ill Veterans across the United States through personal bedside visits to deliver gifts and show appreciation, promotes volunteerism at Veterans Hospitals, conducts morale-boosting events for military spouses, and boosts morale for deployed troops through delivery of care packages. Due to their work with hospitalized Veterans they have been honored by Oprah Winfrey and recognized by Congress. “We are so appreciative of the support. 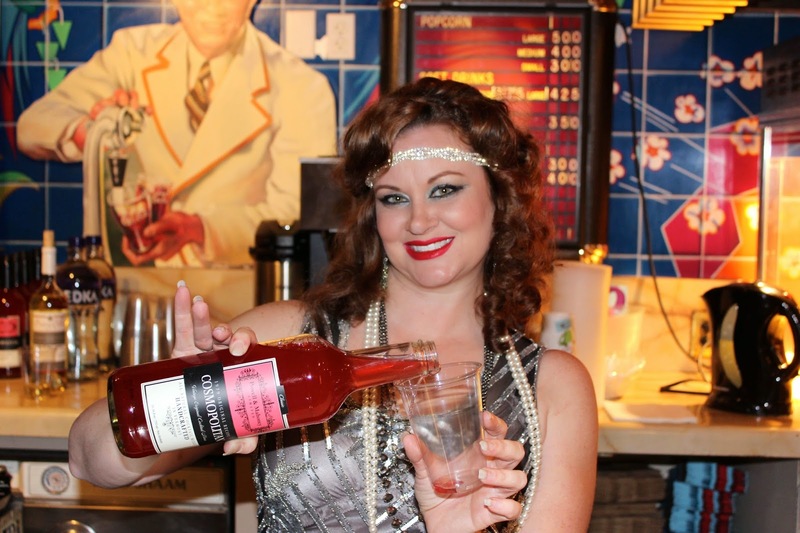 One hundred percent of bar sales went back to the nonprofit and we couldn’t have done it without of amazing sponsors like Powell & Mahoney,” noted Julia Reed Nichols, producer of Workin’ The Tease and The Green Light District. 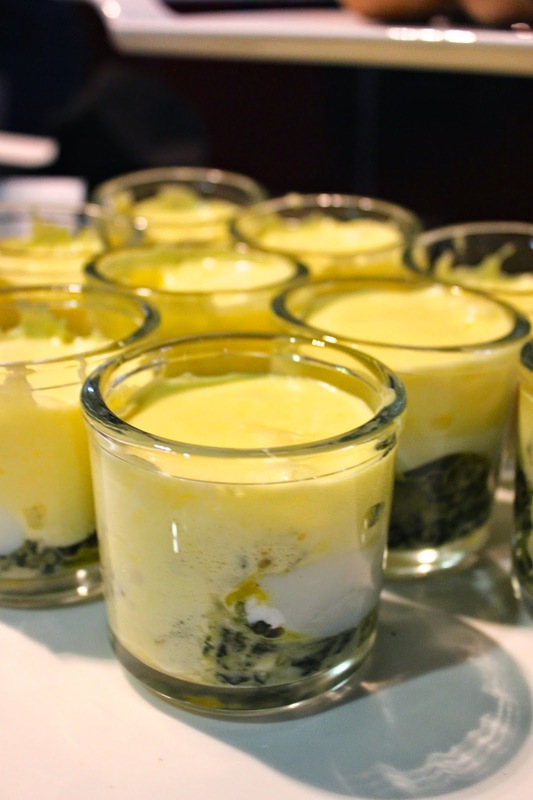 The 9th "Only in Louisiana" Brunch Celebrated Louisiana GRAMMY nominees! Talk about busy! On the same day as Workin’ TheTease’s The Green Light District, Edible Skinny was lucky enough to attend the ninth annual Only in Louisiana brunch Saturday morning which celebrate Louisiana GRAMMY nominees! Lt. 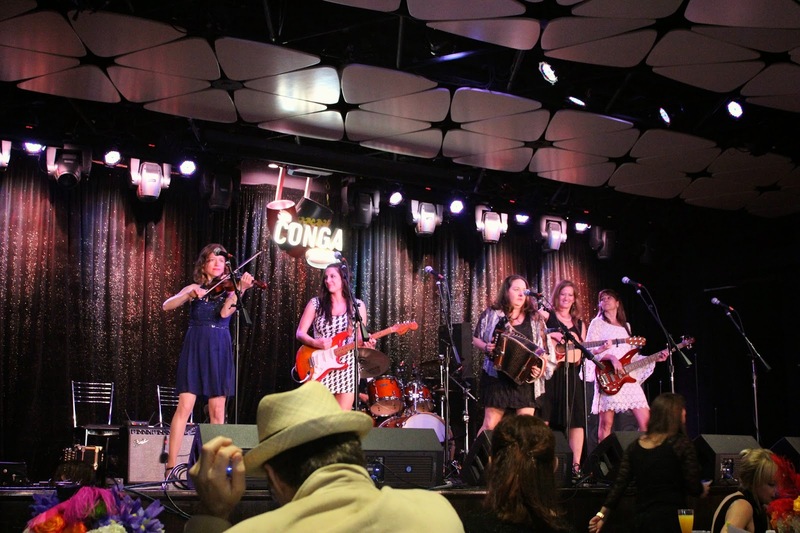 Governor Jay Dardenne hosted the event at the Conga Room in downtown Los Angeles. The brunch celebrated Louisiana’s rich culinary and musical heritage by recognizing Louisianians nominated for GRAMMY awards this year. Attendees enjoyed musical performance by GRAMMY-nominated artists Ledisi, Magnolia Sisters, Jo-El Sonnier and Bonsoir, Catin. 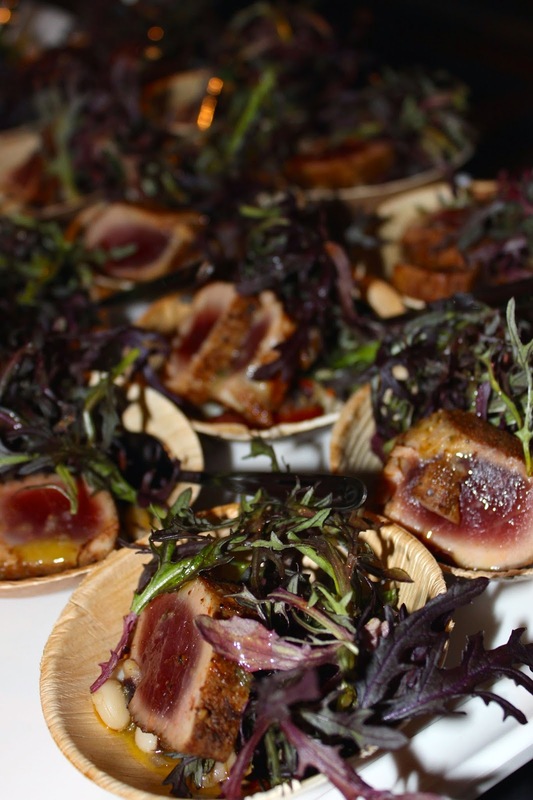 Louisiana Chef John Besh teamed with celebrated Chef Wolfgang Puck to serve a special menu featuring Louisiana seafood. Brunch partakers indulged in Gulf Shrimp Remoulade, Eggs Sardou in a Jar with Blue Crab Okra, Seared Yellowfin Tuna with Black-eyed Pea Salad and Jalapeno Grits (for the Veggie!) 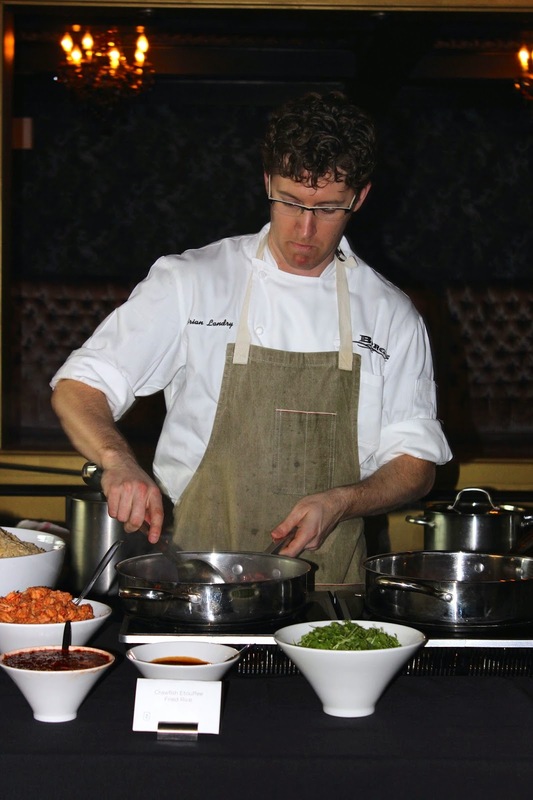 all celebrating Louisiana’s Cajun and Creole cuisine. There was also a made to order Crawfish Etouffee Fried Rice station for those wanted to kick their seafood and sausage consumption to the next level. "If there's one thing that we know how to do in Louisiana, it's how to throw a party! What better way to celebrate those from Louisiana who are honored with a GRAMMY nomination than with food, drink and music. We are bringing our hospitality from the bayou to Los Angeles so that we can entertain everyone on the West Coast with incredible food, cocktails, music and more." Tomorrow (February 6, 2015) there will be 900 bowlers (including Edible Skinny!!!) representing various businesses, social service agencies and local government, competing in a unique and very special FUN-draising event: SuperBowl-A-Thon 19. That’s right even though we warned them of our severe lack of bowling skills, but they didn't listen and Edible Skinny is going to bowl for charity! The event, which benefits the Westside Coalition (formerly the Westside Shelter & Hunger Coalition), takes place at Bowlmor Lanes in Santa Monica from 9:30am – 9:30pm. This bowling marathon of eight consecutive sessions will bring the private and public sectors together with local social service agencies and the faith community to raise funds for programs focused on the eradication of hunger and homelessness on the Westside of Los Angeles. The Kiwanis Club of Santa Monica will again be the presenting “Perfect Game” sponsor. The 2015 “Strike” sponsors include friend of Edible Skinny: Fairmont Miramar Hotel & Bungalows along with Downtown Santa Monica, The Lobster, Morley Builders, NMS Properties, Santa Monica Convention and Visitors Bureau, Santa Monica Firefighters #1109, Santa Monica Place, Santa Monica Police Officers’ Association and Wyndham Santa Monica. So let’s hope for a world where hunger is eradicated and I don’t bowl only gutterballs! The Fabulousness of Herradura's Colección de la Casa and Redbird! 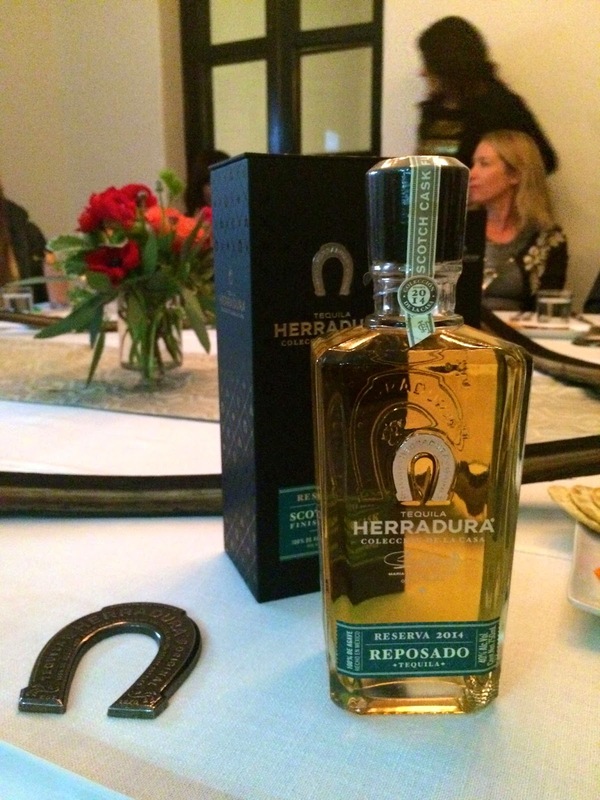 Casa Herradura is one of Mexico’s most historic and renowned tequila producers. Founded by Ambrosio Rosales and Aurelio Lopez, Casa Herradura has been hand-harvesting, handcrafting, and estate bottling 100% agave tequila at the Hacienda San José del Refugio, since 1870. Herradura is credited with the introduction of the world’s first-ever Reposado and extra-Añejo tequilas in 1974 and 1995, respectively. FYI Most Mexicans consume there Tequila straight and we followed this tradition during the entire event. They might mix it with one mixer such as Coke, but they don’t follow the American standard of Tequila in cocktail form! And let’s talk about the recently opened Redbird’s location! One of the few remaining 19th-century structures in Los Angeles, the Cathedral of Saint Vibiana was dedicated in 1876 and served as a religious landmark for more than 100 years. After suffering damages in the 1994 Northridge Quake, the historic building was eventually decommissioned and transformed into a special events venue. 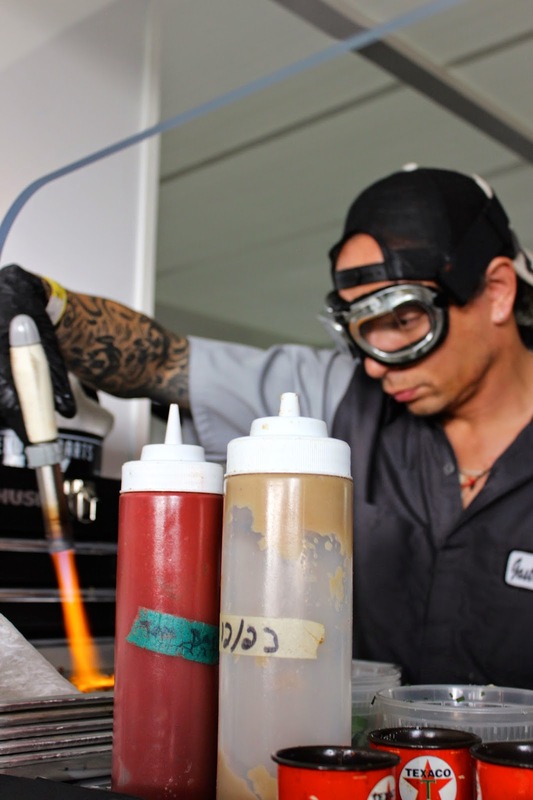 Owned and operated by chef Neal Fraser (BLD, Fritzi Dog), his wife Amy Knoll Fraser, and restaurateur Bill Chait (République, Bestia, Petty Cash Taqueria, etc. 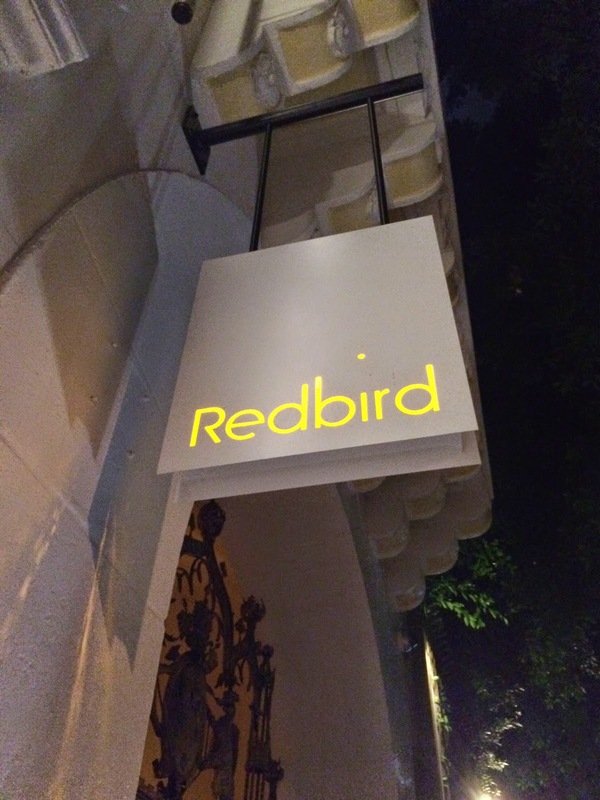 ), the rectory building adjacent to the cathedral was recently converted into Redbird, the much-awaited follow-up to Fraser's last restaurant Grace (RIP). FYI: the restaurant's name is a homage to the cardinal whose offices were once located on this site! 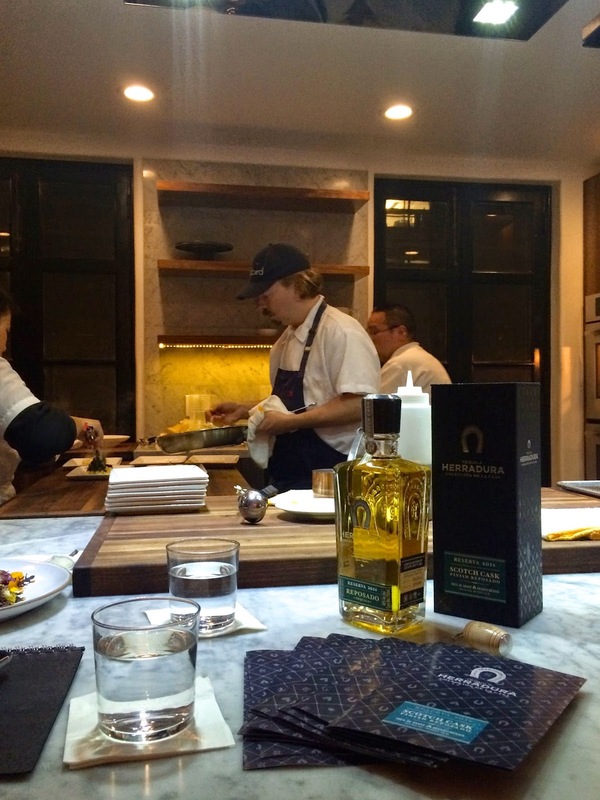 For our Colección de la Casa event we were sequestered away in one of the private rooms off the rectory building that included a balcony, 12-person table, and an exclusive kitchen where Neal Fraser personally cooked for us! Boom! Blanco (aka Silver) Tequila. Sweet in flavor with a touch of oak the finish was crisp, clean, and smooth. 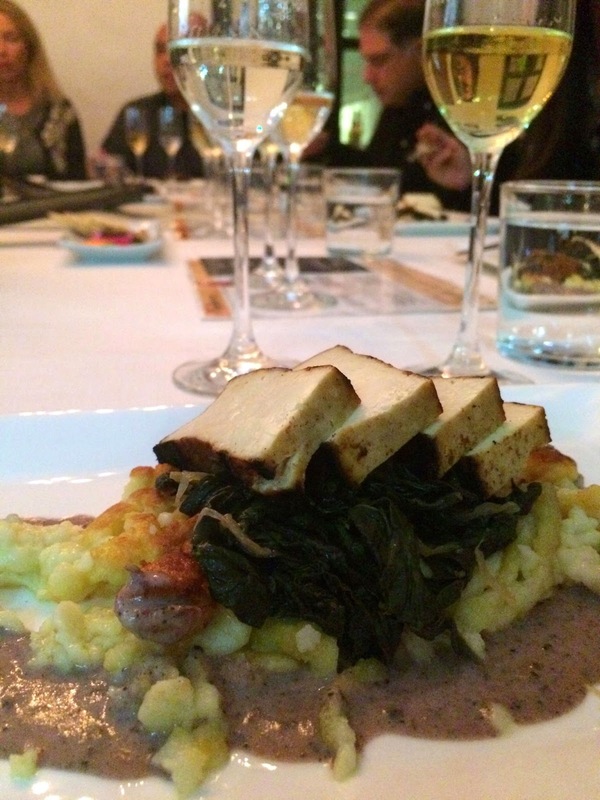 The standard main course was equally as visually gamey (Bacon Wrapped Saddle of Wild Boar with Spaetzle, Kale and Tequila Violet Mustard sauce) but Fraser was kind enough to whip up a Tofu based dish for the Vegs of the group complete with Spaetzle! Both paired fabulously with Herradura’s Tequila (regular) Reposado smooth flavor profile of vanilla, butter and dried fruit! But the most fabulous part of the evening was the most fascinating dessert I’ve had in years!!! 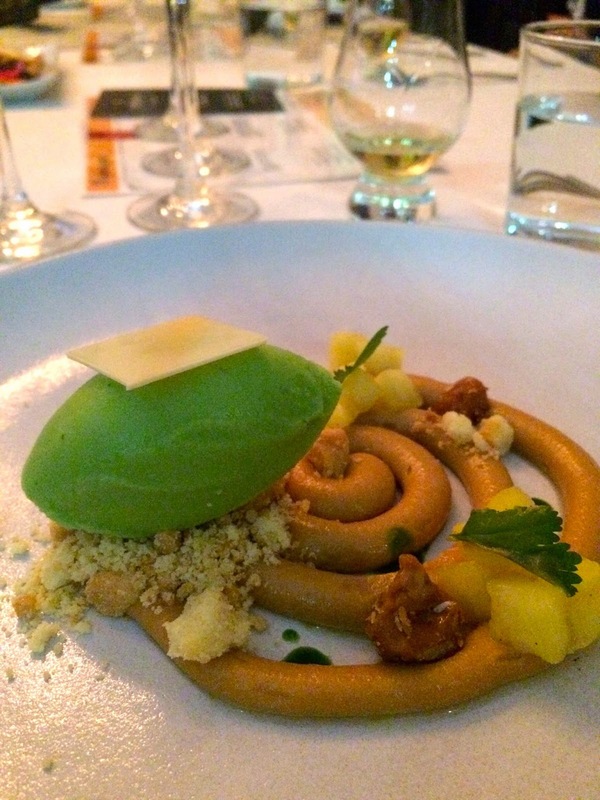 Created by Jashmine Corpuz, Pastry Chef at Redbird, the Tequila Caramel Budino was composed of keffir lime crumble, candied macadamia nuts, cilantro, cilantro syrup, pineapple & vanilla salad, and jalapeño cilantro sherbert. You haven’t really lived until you’ve tried jalapeño cilantro sherbert with cilantro syrup!!! 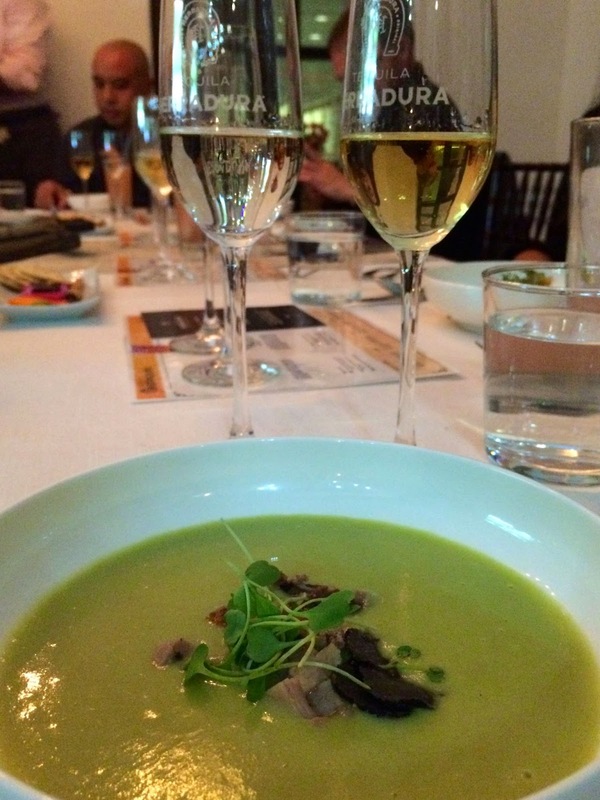 This was of course paired with their featured Colección de la Casa Tequila Reposado where its long-drawn out Scotch finish with a touch of sweetness complimented it perfectly! It was a fabulous event at a fabulous location where I ended up with a fabulous bottle of Herradura’s Colección de la Casa as I was walking out the door! And how did I end up finishing this fabulous night? At home surrounded by my fabulous roommates sipping everything that’s great about Scotch, but now in Tequila form!